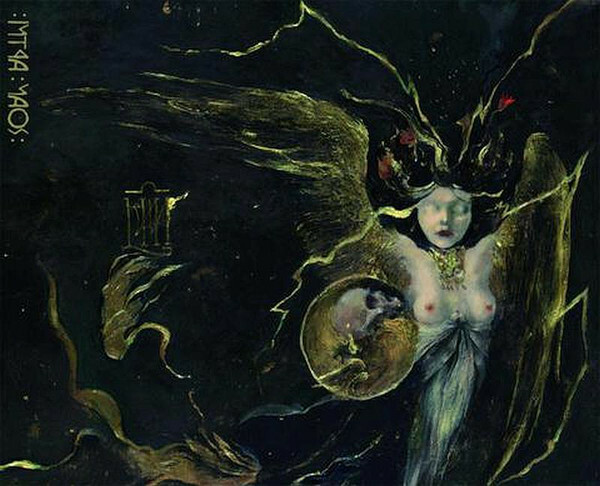 Altar of Perversion return with Intra Naos, a post-black metal album taking this limited and confused style to its best, though still inefficient, results. We start by stating that this is not a black metal album because it is not a metal album in the first place, although its instrumentation, general use of imagery and screetched vocals may give us cause to think it is. Rather than being based on actual riffs to form phrases which themselves give rise to a sequence of flows , Intra Naos displays the shortcomings of what we have in the past characterized wallpaper black metal . The overall experience of the album is one of somnolescence brought about by the lack of musical content in an extremely long recording full of ‘sounds’.